Note: What some people call a timeline is actually a gantt chart. If you're looking to build a gantt chart, we recommend you build one in TeamGantt. You can also use our free Excel gantt chart template to build a bare-bones gantt chart in Excel. 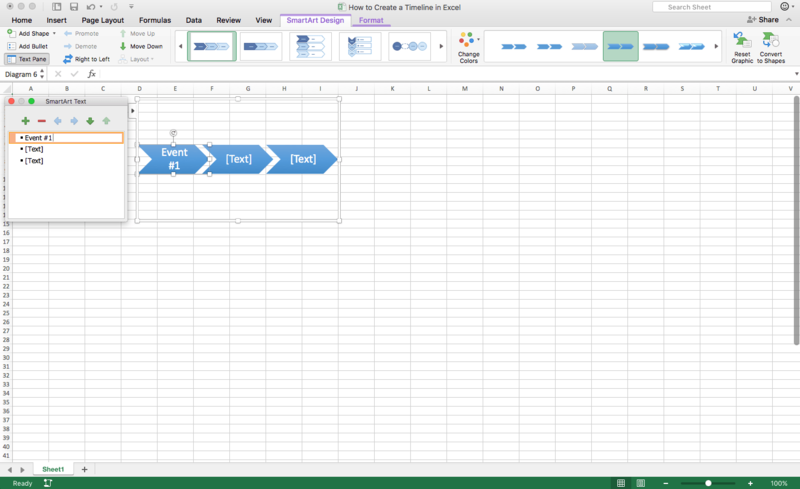 Excel is an amazingly flexible application. Whether you’re tracking your project's financials, digging into your website's analytic data, or using it to create a basic gantt chart, it can cover lots of bases for you. It’s also great for creating a timeline of your project to share with clients or stakeholders. Want a head start? Download our free template. 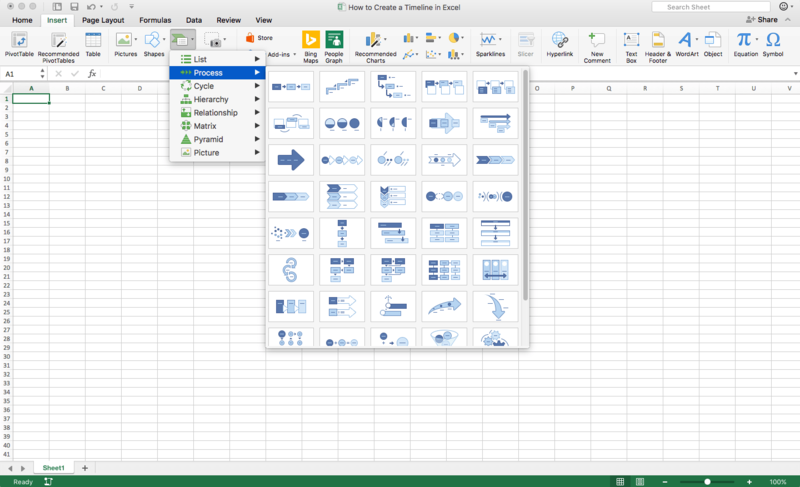 Create or open an existing Excel workbook. Select Insert > Smart Art. Choose a timeline design from the Process menu. Edit the timeline's default events to fit your project. If you already have a workbook you want to insert a timeline into, open your existing Excel file, and go to the worksheet where your timeline should go. Starting from scratch? 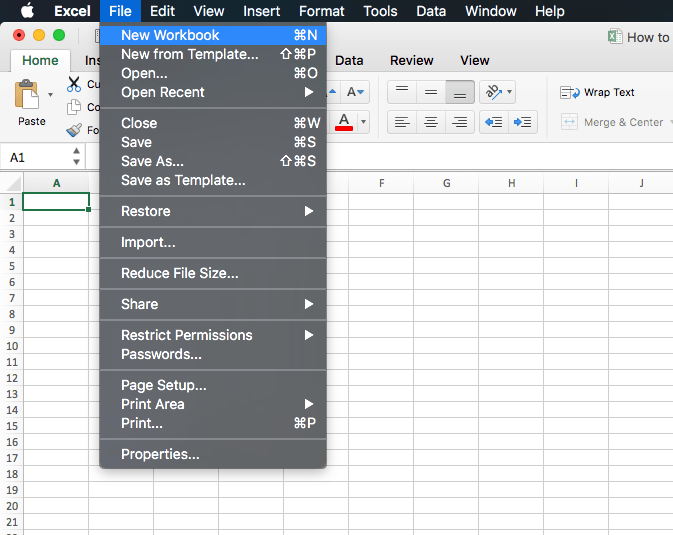 Create your workbook now by opening Excel and clicking on File > New Workbook. Click Smart Art, and choose a timeline style from the Process menu. Select any design you like—it can always be changed easily later. You can also move the timeline around inside the worksheet once it’s created, so don’t worry too much about where you place it at first. The timeline comes preloaded with a few basic events. You can edit these events to match those in your project. Simply click [Text] in the first placeholder event, and rename it. Repeat the process for the remaining two default entries. Once you’ve edited the final default entry, just hit Enter or click + to create a new event. Continue this step until all your main project events have been added.